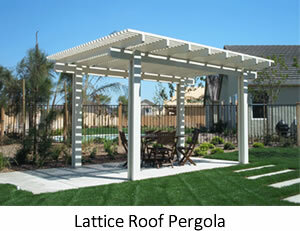 In the consumer world, pergolas are often mistakenly referred to as gazebos, trellises and arbors. At Forever Greens, our knowledgeable staff will take the time to make sure that you know exactly what you are purchasing, so that you are 100% satisfied with your investment. Free standing structures that have been historically built of wood, although aluminum products like Alumawood are quickly rising in popularity, due to their durability and classic cedar wood appearance. 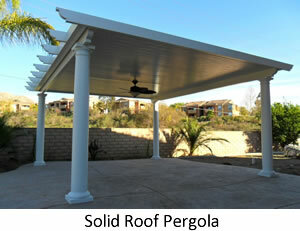 Pergola designs vary, however they all have posts or columns that generally support flat roofs with slats or beams (also known as lattice) running across them, which allow filtered sunlight to shine through. 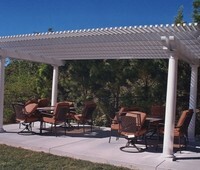 Aluminum pergolas can have a lattice or a solid roof that will provide full protection from the elements, which allows for year-round use. They are most commonly built over walkways where partial shade is desired, but are also used to create transition zones and eye-catching entryways to garden areas. At Forever Greens, we only install Elitewood's Classic Cedar aluminum products, to ensure you get the longest enjoyment from your investment, with little to no maintenance! 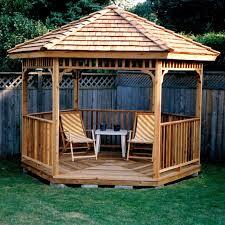 Wooden structures that are usually floored, with solid roofs and support pillars, and have a porch-like appearance. They often have short fenced in sides, which can be used for growing plants upon, although sometimes are left completely open. 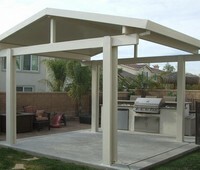 Wooden gazebos can be freestanding over patios or attached to garden walls, and are generally installed in areas where a full 360 degree view is desired. 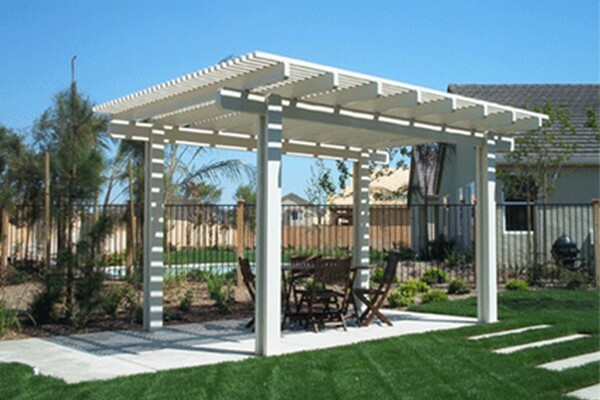 Because they are made of wood, which requires regular maintenance to keep it looking nice, Forever Greens recommends installing an aluminum pergola or patio cover to enhance your outdoor living space. 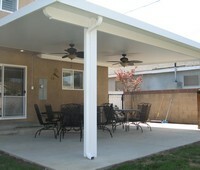 Arbors are small framed structures that are often arched, and commonly made of wood. 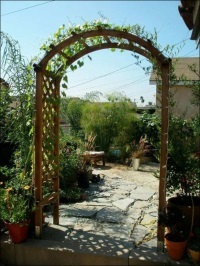 They are usually decorated with a variety of climbing plants and placed over a path or gate to be used as a passageway. 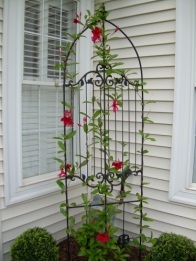 Wood or designed wire frames that are used to support vines and plants. They are most often placed along blank walls to add decor, but can also be used to add height to a fence, or to add privacy to outdoor areas. 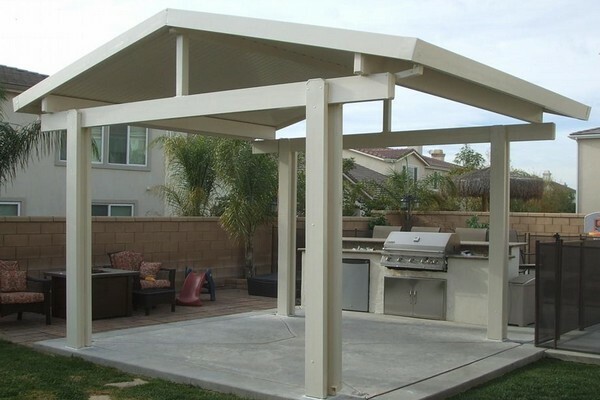 These attached structures provide shade and/or rain protection for a patio or deck, creating an enjoyable outdoor space that can be used for anything from the basic family BBQ to an elegantly decorated entertainment area. 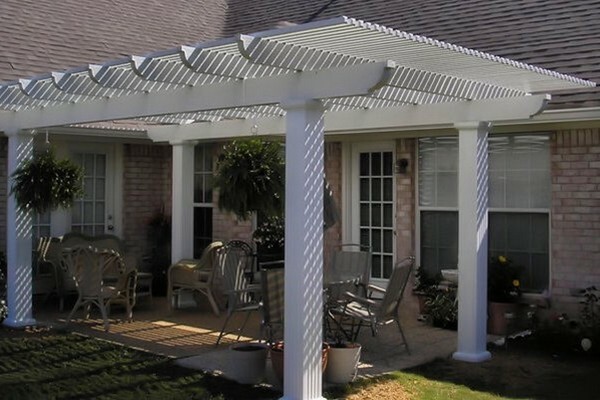 Most homeowners choose a solid roof for their patio canopy to allow for year round use, although lattice roofs are also an option. Undecided on which option would best fit your home and family lifestyle? Forever Greens can help! Our experienced professional installers can give you the best of both worlds by giving you a combination of the two. If you are looking to create the ultimate outdoor living space, Forever Greens offers the latest in technology, with Solar X insulated roof panels. 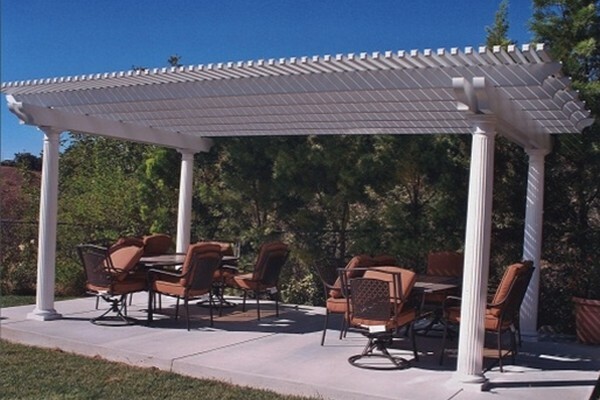 Patio covers made with these panels not only provide relief from the sun and rain, they repel heat and cold, helping to create an enjoyable environment all year long. Their satin finish reduces glare, resists stains, and helps to add warmth to the area, while the deep stucco embossing provides a more traditional look for your home. The new locking technology ensures that a proper seal is achieved, which provides better insulation and eliminates leaks. 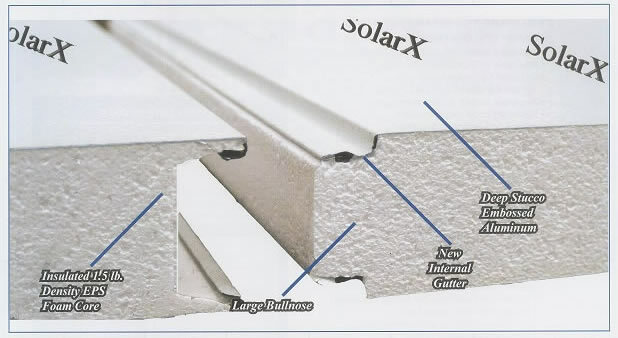 Every Solar X roof panel is covered by a 20 year limited manufacturer warranty, which covers the paint finish and de-lamination, in the unlikely event that something should occur. 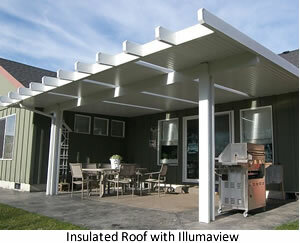 At Forever Greens, we offer the Illumaview Natural Light System, which can be built in to the insulated roof panels of your aluminum patio cover or solid roof pergola, in order to allow moderate amounts of light to shine through. These optional patented design natural light panels interlock seamlessly into the insulated roof panels, creating the perfect seal to prevent leakage, thus offering year round enjoyment of your outdoor living space. Illumaview Skylights are manufactured with polycarbonate materials that protect your loved ones from the sunÛªs harmful ultraviolet rays, and make it immune to cracking or discoloration. 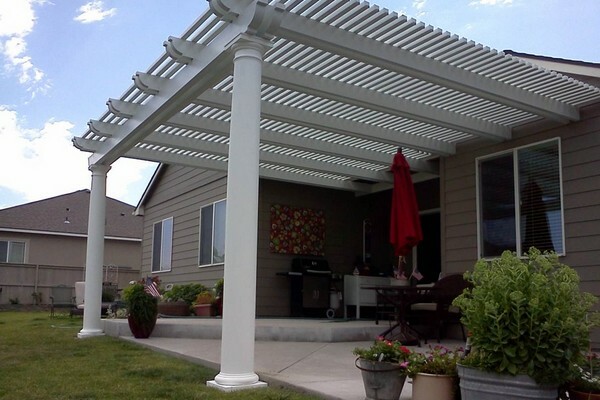 Basic aluminum pergolas and patio covers are commonly built with standard 3 inch square posts, but you can enhance the beauty of your project with our custom ordered posts and columns. 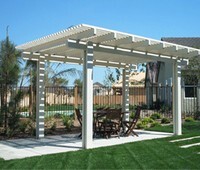 Forever Greens offers a variety of styles to add the perfect finish to your patio cover or pergola. 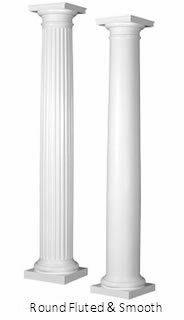 Although the most popular are the smooth and fluted round columns with an 8 or 10 inch diameter, which are kept in stock, square column options are also available to special order, with a 4-6 week delivery window. 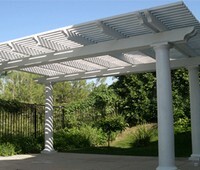 Give your aluminum pergola or patio cover a custom look, with one of our decorative end cuts. Forever Greens is committed to ensuring your project has the personal touch you desire for your project, and offers four different styles to choose from to create your perfect finish. 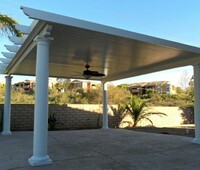 Why Choose Aluminum Over Wood? 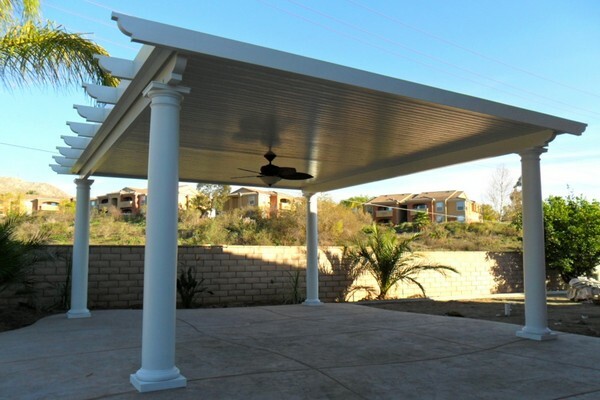 When it comes to building patio covers and pergolas, there are many reasons why Forever Greens recommends installing aluminum products, rather than wood. Besides requiring little to no maintenance, their appearance stays looking like new longer. 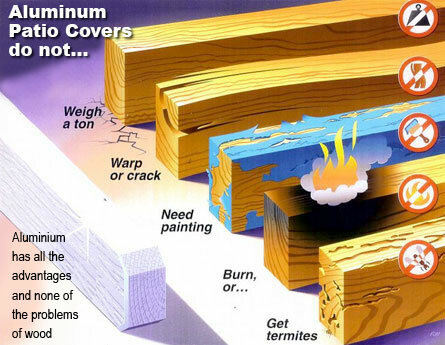 Aluminum does not fade, warp or crack due to weather conditions, the way that wood does. 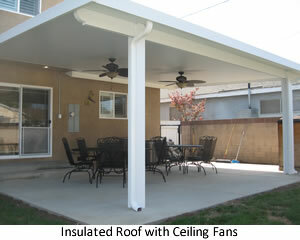 This means that it never needs to be sealed or painted, saving customers the high costs of materials and labor. They never rust, and can be cleaned easily with water and a cloth or sponge. 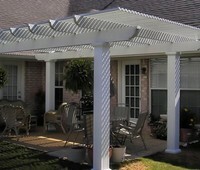 Unlike wood, aluminum patio covers and pergolas will never be damaged by termites, resulting in longer enjoyment. They are designed to have the appearance and feel of real wood, while providing the durability to withstand all types of weather. 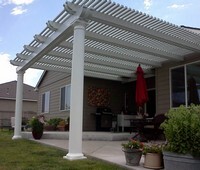 Choose the Tri-Valley Patio Cover & Pergola Professionals! 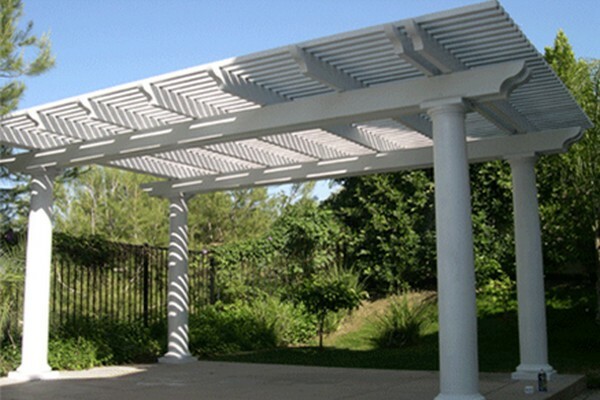 At Forever Greens, our professional installation crew has been in the business of installing patio covers, pergolas and sun rooms for over 20 years.. Most of our building material comes standard with a limited lifetime warranty, and we back our workmanship 100%. 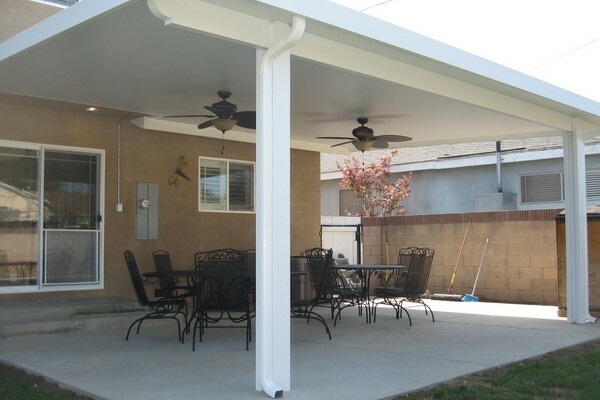 If you are looking to add valuable outdoor living space to your home that can be enjoyed for many years to come call 925-443-7888 or email Forever Greens for your FREE estimate today!